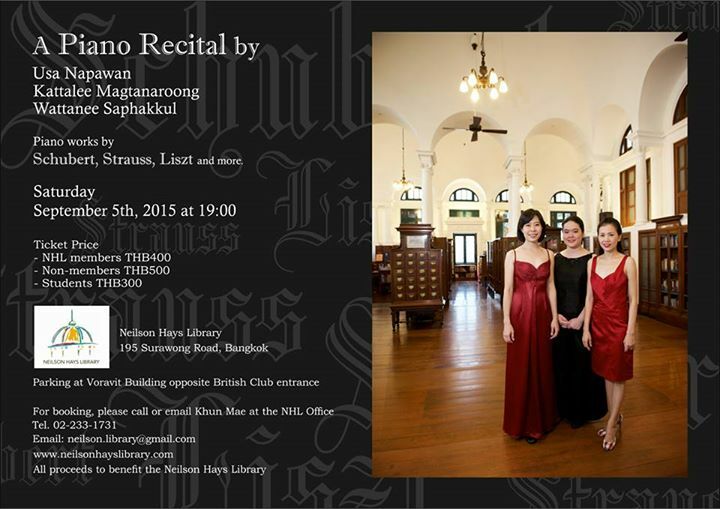 Piano Recital by Wattanee Saphakkul, Kattalee Magtanaroong & Usa Napawan Saturday 5th September 2015 at 19:00pm. Housing more than 20,000 books, the Neilson Hays Library is one of the largest collection of English language titles in Bangkok. Offering a wide variety of contemporary fiction and non-fiction, fresh books arrive every month. Check out our latest titles to see what’s new right now. We also stock an impressive array of magazines and newspapers.